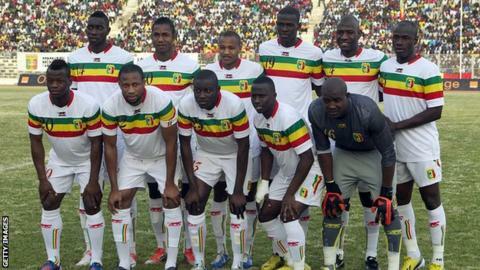 Mali will hope to improve on last year's third-place finish when they compete at the 2013 Africa Cup of Nations in South Africa. The Eagles surprised many in Gabon and Equatorial Guinea, beating one of the pre-tournament favourites Ghana in the third place play-off. They continue to look strong, with their captain, former Barcelona midfielder Seydou Keita, having lots of experience - something which will be crucial in a tricky group which also contains Niger, the Democratic Republic of Congo and Ghana. There should be plenty of goals in the team, with their forward line led by Bordeaux's Cheikh Tidiane Diabate and West Ham striker Modibo Maiga. Their defence has a solid look about it, thanks to the presence of the man nicknamed Police, Auxerre's 32-year-old defender Adama Coulibaly, plus Adama Tamboura and Fousseyni Diawara. Mali French manager Patrice Carteron has also included several home-based players in his squad, including Stade Malien goalkeeper Soumaila Diakite. Experts say ego-related problems which marred the squad's harmony in the past have now been addressed. However, others say the team has to overcome certain psychological weaknesses. Only time will tell whether this team is capable of going one step further in South Africa.